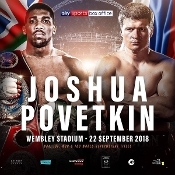 Includes Luke Campbell vs. Yvan Mendy II, Matty Askin vs. Lawrence Okolie, Sergey Kuzmin vs. David Price & Shakhram Giyasov vs. Julio Laguna. 2 Blu-Ray Set with JD Ringside Preview Show + Much More. Also: Alexander Povetkin vs. David Price, Ryan Burnett vs. Yonfrez Parejo & Anthony Crolla vs. Edson Ramirez. 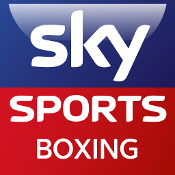 Includes Dillian Whyte vs. Robert Helenius, Kal Yafai vs. Sho Ishida & Anahi Esther Sanchez vs. Katie Taylor. Includes Dillian Whyte vs. Dereck Chisora, Luis Concepcion vs. Khalid Yafai, Callum Smith vs. Luke Blackledge & Scott Quigg vs. Jose Cayetano. Includes George Groves vs. Martin Murray, Chris Eubank Jr. vs. Tom Doran & John Wayne Hibbert vs. Andrea Scarpa. Includes Lee Selby vs. Eric Hunter, Matthew Macklin vs. Brian Rose, Jamie McDonnell vs. Fernando Vargas, George Groves vs. David Brophy, Conor Benn vs. Ivailo Boyanov & Ohara Davies vs. Andy Keates. Includes Chris Eubank Jr. vs. Gary "Spike" O'Sullivan, Kevin Mitchell vs. Ismael Barroso, Tony Bellew vs. Mateusz Masternak & Luke Campbell vs. Yvan Mendy. Includes Dave Ryan vs. John Wayne Hibbert, Dillan Whyte vs. Brian Minto, Louis Norman vs. Charlie Edwards & Reece Bellotti vs. Adel Hadjouis. Includes Jorge Linares vs. Kevin Mitchell, Evgeny Gradovich vs. Lee Selby, & Anthony Joshua vs. Kevin Johnson. Includes Kal Yafai vs. Isaac Quaye, Sam Eggington vs. Joseph Lamptey, Matthew Macklin vs. Sandor Micsko, Callum Smith vs. Olegs Fedotovs & Luke Campbell vs. Bechelaghem. Includes Anthony Nelson vs. Jamie Wilson, Mustafa Chadlioui vs. Travis Dickinson, Jeff Saunders vs. Sandor Racz & Stephen Smith vs. Barrington Brown. Includes Scott Quigg vs. Hidenori Otake, Anthony Joshua vs. Michael Sprott, James DeGale vs. Marco Antonio Periban & George Groves vs. Denis Douglin. Includes Lee Selby vs. Josh Brunker, Tyler Goodjohn vs. Ricky Boylan & John Ryder vs. Theophilus Tetteh. Includes Anthony Crolla vs. Gamaliel Diaz, Scott Cardle vs. Kirk Goodings, Anthony Joshua vs. Konstantin Airich & Sam Eggington vs. Denton Vassell.